Are you ready to get lost? Try navigating this 10-acre labyrinth! Mazes have been around for centuries but corn mazes are relatively new. Since 1993, they have gained worldwide popularity providing a source of healthy and wholesome entertainment for the entire family. 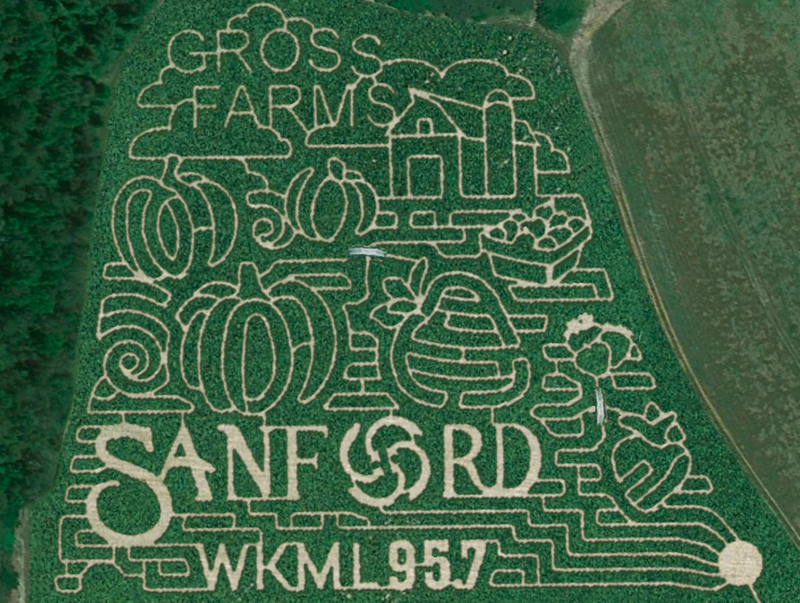 Our 2018 maze consists of three puzzles containing a little over 4 miles of winding pathways in a 10-acre field of corn, one of the largest in the the area. Within each puzzle, there are checkpoints with a different shaped punch at each station. Guests track their progress through the maze by punching a card given to them at the entrance to the maze. 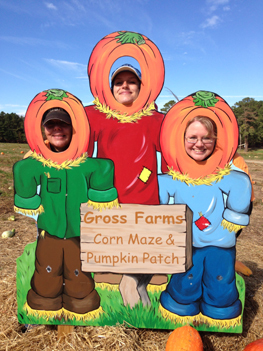 Staff and maps are stationed throughout the maze to assist guests. 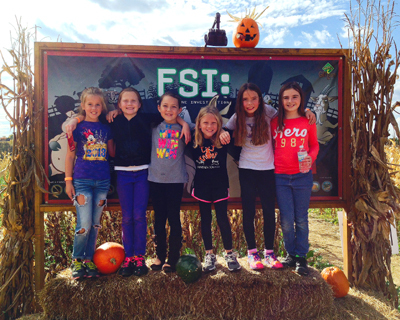 FSI or Farm Scene Investigation adds a twist to the maze quest. Farmer Joe is missing. There was an accident, and it appears to be foul play. There are seven farm animal suspects that we need you to investigate. Collect the evidence to find the weapon, the suspect, and the location where the crime took place. You will find six location scenes within the corn maze. At each scene, you will find an animal, a weapon and a location to eliminate. Punch your card to keep track of your clues. But hurry. Help us solve the mystery and put the guilty farm animal behind bars and save Farmer Joe. 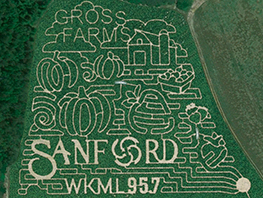 Click on this maze thumbnail to view a larger image of our 2018 maze.